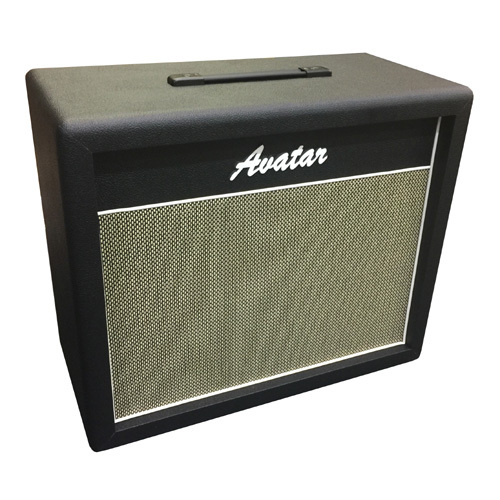 This is the new full sized Avatar Vintage G112 guitar cab. It is a 60’s Marshall styled 112 speaker cabinet. It features a slanted front speaker baffle board to point the speaker up slightly towards the player. The construction is voidless Baltic Birch Plywood, with finger joint construction. These are wrapped in Black tolex, have salt + pepper grill cloth and white piping. It comes with your choice of either the partial open back or the completely closed back panel. This deluxe cab has a rear metal jack plate with dual 1/4 inch jacks for daisy chaining with other cabs. 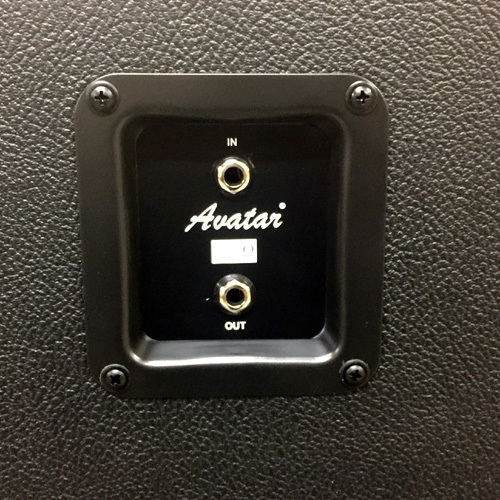 The 12 inch speaker is rear loaded with T Nuts which makes it easy to swap out speakers for tone experimenting. We have many choices of quality Celestion guitar speakers to fit your precise tone preferences. 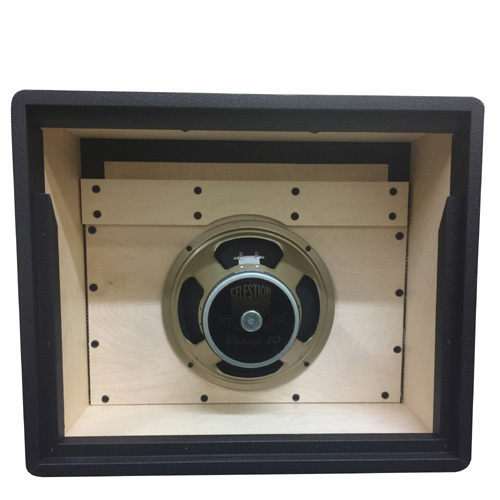 Please go to Celestion.com to read about or to listen to sound samples to help you decide which are best for your playing style and tone requirements. We are now offering the choice to mix between different color cabs and valance boards! 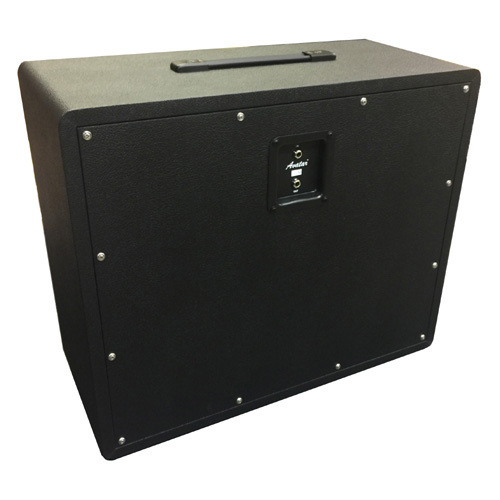 The Vintage G112 cab dimensions are 24″W x 20.5″H x 11″D. 3/4 inch Baltic Birch Plywood. Weight is approximately 45 lbs depending on speakers. You get a One year limited warranty.